Mother’s Day weekend, I had the pleasure of visiting with my son and his gf (that’s hip for “girlfriend” – how cool am I!). Somehow, we got on the subject of Bruce Willis’ fame. I immediately referenced Moonlighting. Despite it’s airing in the mid-late 1980s, my son actually (albeit vaguely, because he was very young) remembered it – or was, at least, familiar with the title. Resuming my lecture, I explained how Cybill Shepherd was a former model, Breck girl, actress. No look of recognition crossed their faces. The Last Picture Show – still nothing. So, I blew that off, and proceeded to elaborate on how great David Addison was (in what we have come to know as typical Bruce Willis charisma), specifically describing him in my favorite episodes, and how Moonlighting catapulted his career. Next up – I had recommended they record In the Heat of the Night, because it’s a great movie and history lesson, as well. 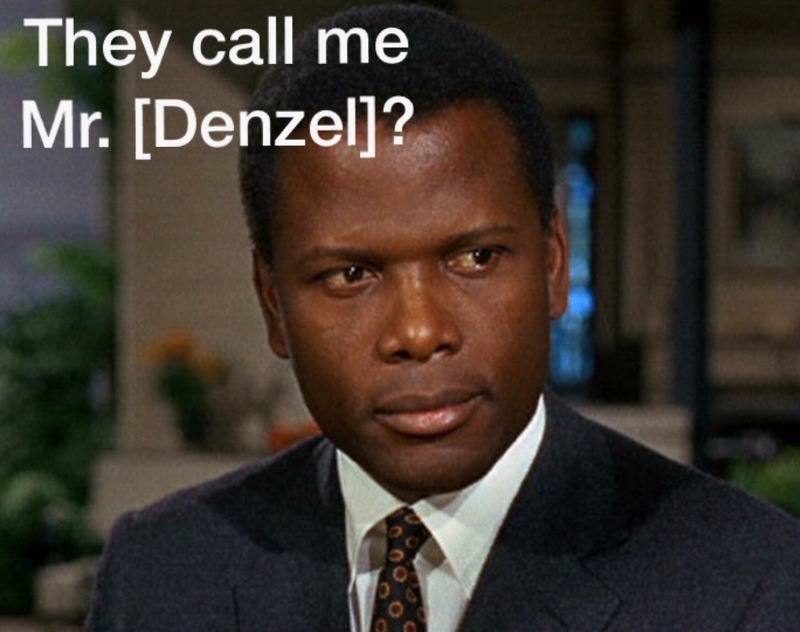 You can see where this is going… Who is Sidney Poitier? My first reference was To Sir, With Love. My son knew that, because I had made my kids watch certain classic movies, simply to ensure they would be culturally literate. Again, the gf drew a blank. If you liked this piece, please click “Like,” leave a comment, “Follow” my blog, – better yet, share the link with friends, family, or colleagues you think would enjoy it. It’s the only way a writer can gather an audience. Thanks very much! Writer - Former newspaper columnist - lover of all things nostalgic, collies, music, humor, and ever grateful to those who defend American citizens at home and abroad. This entry was posted in 1960s, americana, Baby Boomers, celebrities, cultural history, entertainment, Fame, famous people, Generation gap, Humor, movies, Nostalgia, pop culture, television and tagged baby boomers, Bruce Willis, communication In the Heat of the Night, Cybill Shepherd, Denzel Washington, gen x, generation y, generations, Moonlighting, movies, Sidney Poitier, To Sir With Love. Bookmark the permalink.